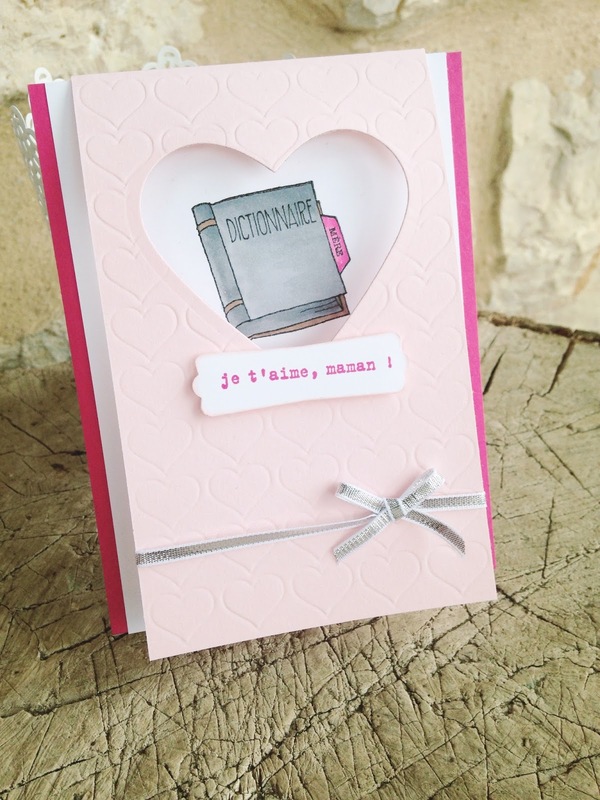 Today I have another card for Mother's Day to share with you. It's fast approaching - Sunday 15 March for the United Kingdom although in Europe we celebrate it later on in the year during May. I have again used the Sweet Laughter stamp set. 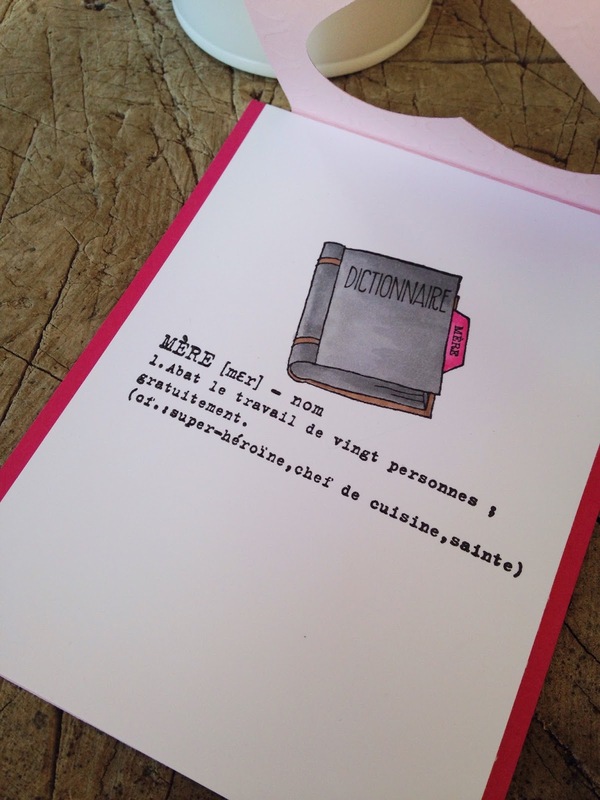 I am currently using the French set Merci Maman and it is also available in German (if you click the words in blue the link will take you direct to the relevant stamp set in my Online store). 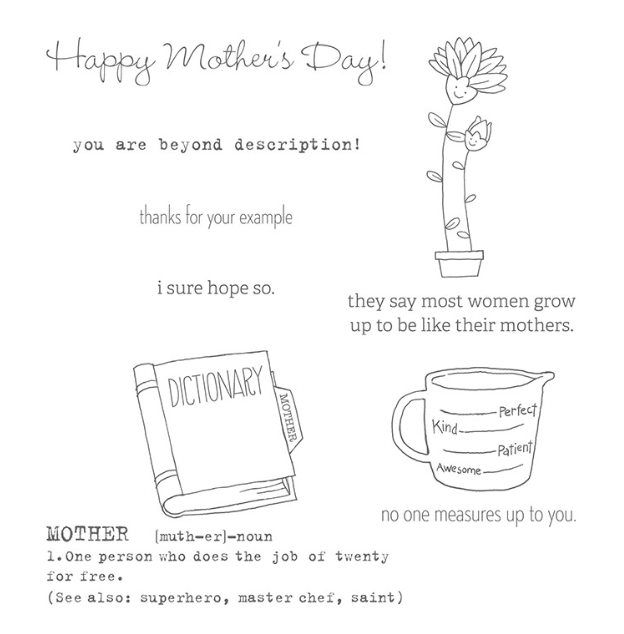 The stamp set includes a dictionary definition of *mother* and I wanted to construct a card that showed the book but not the definition until you opened the card. So I created a flip window card. 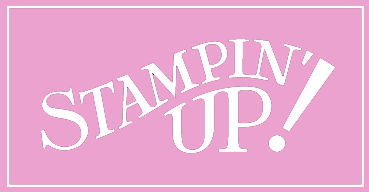 As these are outline stamps you can use your Stampin' Markers or watercolour paints even if you wished. If you are using watercolours or water in any way with your card please use the Black StazOn ink as this is waterproof. Run the front side through your Big Shot using the platform for embossing with the folder of your choice. Line up your White card stock piece to where it will be stuck down (centred under the front panel and flush with the fold line and trace your shape (in my case a heart) very lightly in pencil. You now know where to stamp the image! Adhere your White card stock to your Melon Mambo piece making sure to centre the white piece. Thanks for visiting and I hope you enjoyed this project and are inspired to give a flip window card a try! Check back tomorrow as I have another beautiful Mother's Day card to share - this time using a Christmas stamp set.